Many people come to know Jesus and become His fully committed followers. 1.1 Ongoing Christian education is facilitated and sustained. 1.2 Well trained Christian education graduates continue their service for the Lord building disciples in their community and region. Capacity is built in the local church community. 2.1 The Christian community is encouraged and strengthened. 2.2 Practical, spiritual, and financial needs are met. Christian compassion is applied in practical ways to improve the quality of life. 3.1 Health status is improved for needy people. 3.2 Practical life needs are met. 3.3 Reconciliation, conflict resolution, and peace are advanced. The flow of Christian out-migration from the Holy Land is reduced. 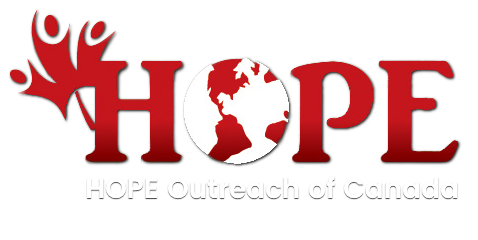 The Canadian Christian community is informed, engaged, and called to Jesus' action to support missions through HOPE Outreach.